Whether fleshing out the noble pursuits of wizened arcane research or the nefarious plots of an area necromancer in service of The Bigbad™, this pack has what you need to bring life (or undeath, if that’s your sort of thing) to laboratories, crypts, and dungeons, with a combination of decoration and completely new dungeon tiles. 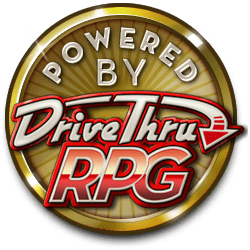 Built to integrate seamlessly with the Dungeon-o-Matic family, lending a bit of transmutation and trepanation to your adventures is as easy as drag and drop. After purchase, you'll get a .zip file with all 160 individual pieces and premade maps, which are yours to mash together in your characters' travels as you see fit. 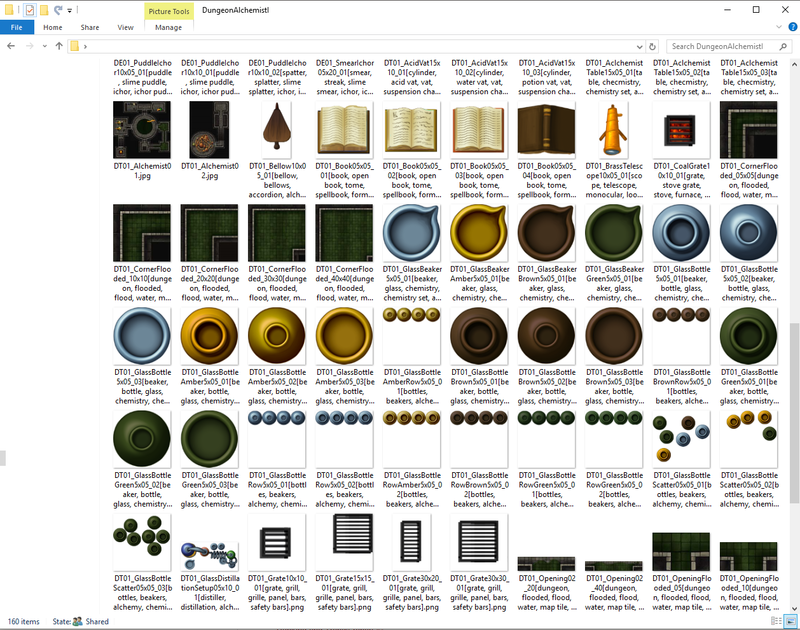 The individual tiles are made to be easily drag-and-dropped together in your preferred graphics software (photoshop, gimp, etc), and then saved out as a single image for the virtual tabletop, or you can upload the contents of the zip to Roll20 and build your dungeons there. Bonus feature for Roll20: The "Your Library" section of the DM tools can be unorganized at times, each filename contains the specific dimensions of each tile needed to maintain seamless integration and reduce headaches. Every file has unique tags built in to their names, so you can use built-in search features to find the right piece for the right spot.